You will be glowing after the success of your next promotion after featuring this item! For a creative way to promote your business, select the 12 oz. Nite-Glow Stadium Cup. 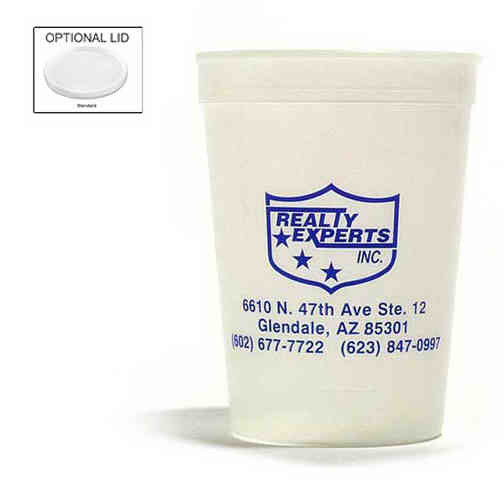 Made of durable plastic, this cool cup is a great choice for company sporting events or fundraiser. This promotional item has optional lids available and is top shelf dishwasher safe. Order today...or to-NITE! Size: 4.1875 " x 3.1875 "
Imprint Size:3-1/2" W x 2" H per side. WRAP 7-1/2" W x 2" H.
Ship Weight:13 lbs, Boxes are subject to "Dimensional Weight" charges.